I have never been a big fan of overclocking on PC because I think the risks are too expensive given the prices of the components. But on Raspberry Pi, it tempted me well. It was practically designed for that, and at worst we lose what? $35? That’s why I did the test for you. 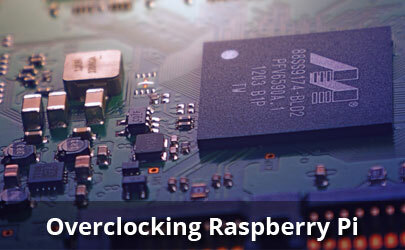 How to overclock a Raspberry Pi? You can overclock your Raspberry Pi using the raspi-config tool which offers a menu to change the CPU frequency. You can also modify the configuration in the /boot/config.txt file with your values. Overclocking in computing is a general method to improve the performance of a computer, this applies to all components. What we call clock in a computer is the number of pulses per second. It is usually measured in MHz or GHz and is indicated when you buy a PC. By overclocking your CPU, you will judge that the manufacturer has been too careful and that you can increase this frequency. By default, the Raspberry Pi’s CPU heats up very little and there are no special precautions to take at this level. Another tool that can be used is the Phoronix Test Suite, which has the advantage of making available a web interface for testing and offering a lot of tests possibilities. Choose one, and apply the configuration. Reboot. It’s a good idea to go slowly and to make levels. Rather than choosing the highest frequency directly, take an intermediate level and see how your PI behaves for a few hours before attempting the maximum level. As mentioned above, you may experience problems when starting the Raspberry Pi if the configured values are not compatible with your hardware. The first is that the Raspberry Pi 3B + I used is already overclocked as soon as you buy it. We saw in raspi-config that overclocking is impossible. So maybe it’s normal, we can’t achieve concrete results with this machine. The second is that I start in this and I could miss something. Maybe my values are incorrect or I made a mistake in measuring results.